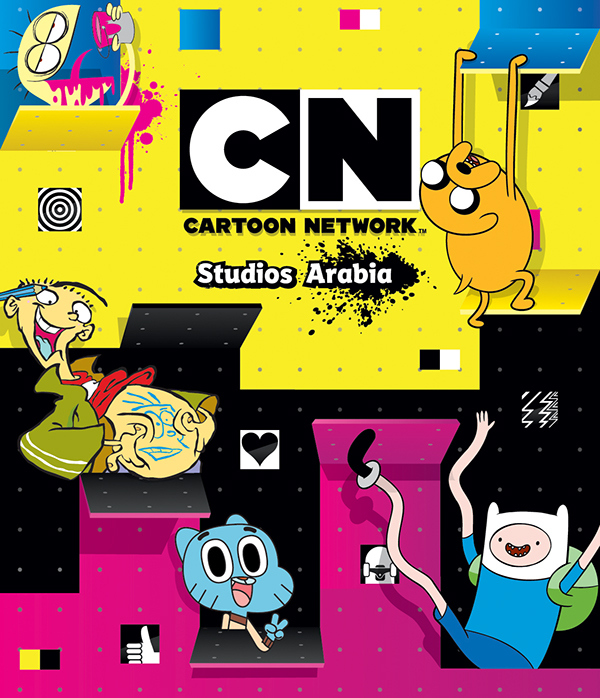 Cartoon Network Studios Arabia opened in Abu Dhabi in September 2011 to develop animated content that reflects the flavour and cultural values of the region and audience. 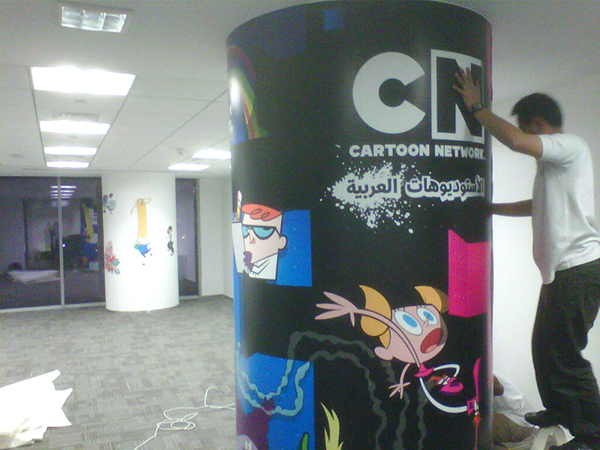 I designed the dual language logo as well as a couple of bespoke pieces of interior wall decoration. 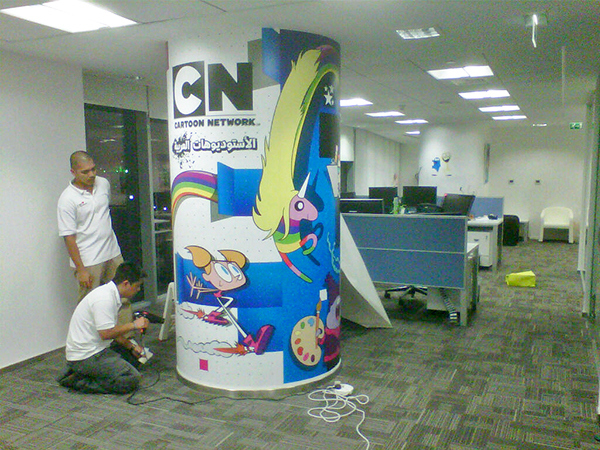 to inspire the animators and designers. 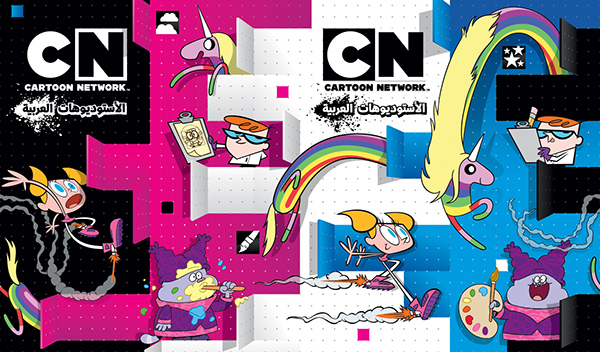 there was a nice opportunity to suggest action that continued or resolved on opposite sides of the column. 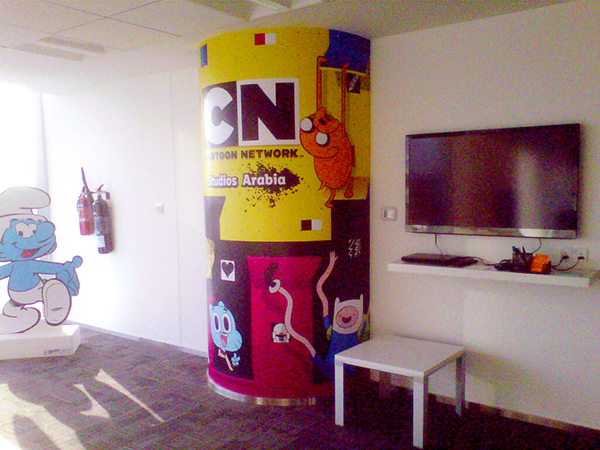 Internal branding of Cartoon Network animation studio in Abu Dhabi.